Weekends are made for chilling the hell out. Agreed? So to help you spend less energy “thinking” and more energy doing the things you love, AKA eating and drinking, we’ve rounded up a weekend hitlist featuring six awesome Sunny Coast spots for you to conquer. 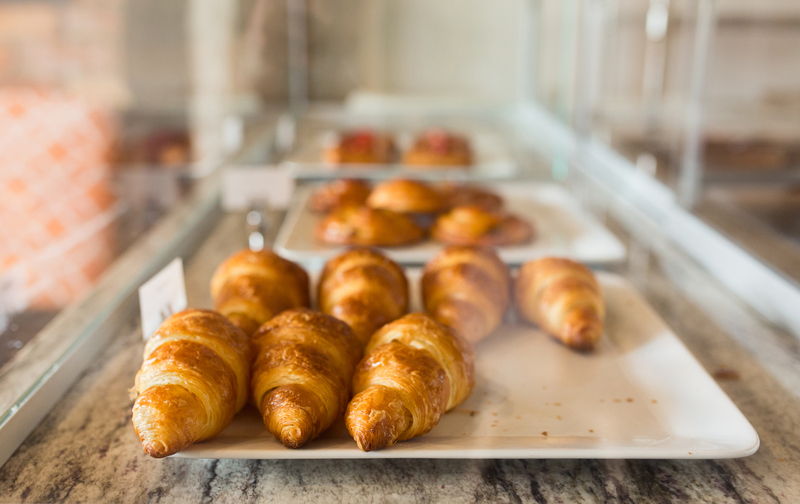 If you consider yourself a croissant connoisseur, then chances are you’ve tried out Noosa Hot Bread Shop’s flaky goods in Noosa Junction. But life just got even better, because these guys have opened a second store on Hastings Street. For beach bums and point lurkers, this means you can grab your coffee and golden pastry before you walk across the road to get wet. It’s the simple things that make life so good. So technically you can’t eat at Renae’s Pantry, unless it’s on a Friday night when they host an epic laneway shindig with live music and incredible street food. But, drop in to this cute-as-a-button conscious grocery store at any other time, and you could easily lose the better chunk of an hour perusing their shelves and healthy alternatives. With a strong focus on local produce, you’ll be filling your wicker basket with organic fruit and veg, cheeses, freshly-baked bread, and eco-friendly cleaning products. Shopping here just makes you feel good. Like really good. You know we love a good deli slash cafe, right? But before now, there wasn’t really one on Hastings Street—which meant hopping in a stuffy car to get camembert and dips for an impromptu afternoon cheese platter on the beach. Well, that’s all changed! Providore on Hastings opened a few weeks back, and we for one, are glad they did. Serving all the take-home (or take-to-the-beach) goods you could want, these guys also make a deliciously strong Little Cove Coffee, and have a sunny terrace we can’t help but want to sit on—all day long. One of the best cafes in Alex, you should be putting Elliotts Bistro on your breakfast agenda, if you haven’t tried their goods already. Serving up smooth brews from local roaster, Kai Coffee, don’t go past the potato, corn and gruyere croquets drizzled with balsamic. Don’t worry if you haven’t heard of 26 Degrees yet. Sure, it may already be classified as one of the best bars in Caloundra, but it has only been open for a short while, so you’re off the hook. Sitting in Rumba Resort, a stone’s throw from Pumicestone Passage, this Hamptons-style bar serves up some mighty fine cocktails, with a side of cruisy beats and beachside breezes. Ahhh! Pssst! The Maleny locals might not want us to tell you about Monica’s, but we feel like we’d be committing a mass crime if we didn’t. This hinterland fave teems with deliciously simple dishes and small-town charm that can’t be faked. Hang on the sidewalk, around the mammoth communal table inside, or head upstairs to claim the comfy couch—whatever you decide, starting your day here can only be a good thing. Already knocked these spots over and looking for more things to do on the Sunshine Coast? Here’s 5 more cafes and bars to check out this weekend.